With five keychains included, your keys will never lack for super-powered protection! 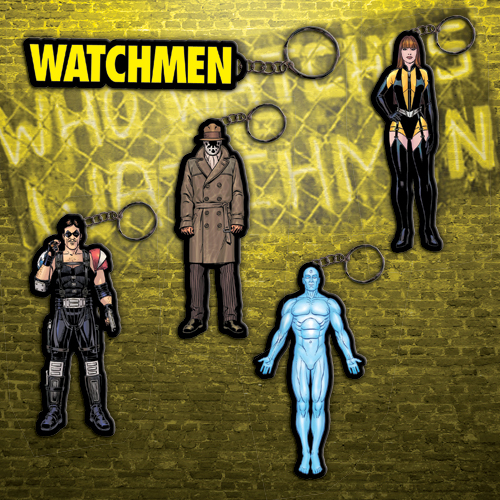 These full-color, 3D keychains from the hit Watchmen movie are made of flexible rubber. Set includes Rorschach, Dr. Manhattan, Silk Spectre, The Comedian and the movie logo. Each measures about 3 inches tall.